Halloween is right around the corner! 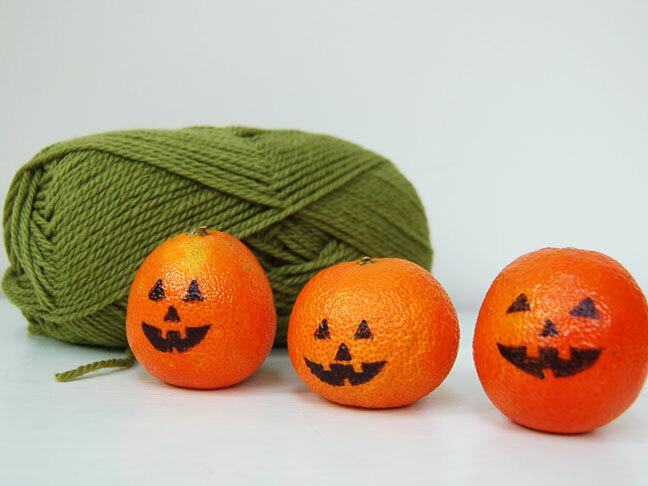 If you need a quick Halloween decor idea, or if you want a healthy option to hand out to trick-or-treaters, this is a fantastic holiday craft. (Note: this is not a craft for kids, because it requires a hot-glue gun. This one is strictly a DIY for Mom.) 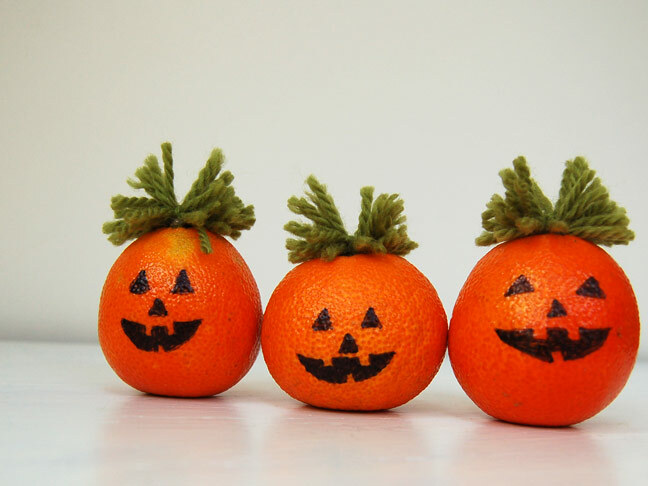 Grab a few oranges from the fridge for this pumpkin craft, and let's go! Step 1: Start by drawing faces on the oranges with a black sharpie. Step 2: Cut a bunch of short strands of yarn (about 4 inches). 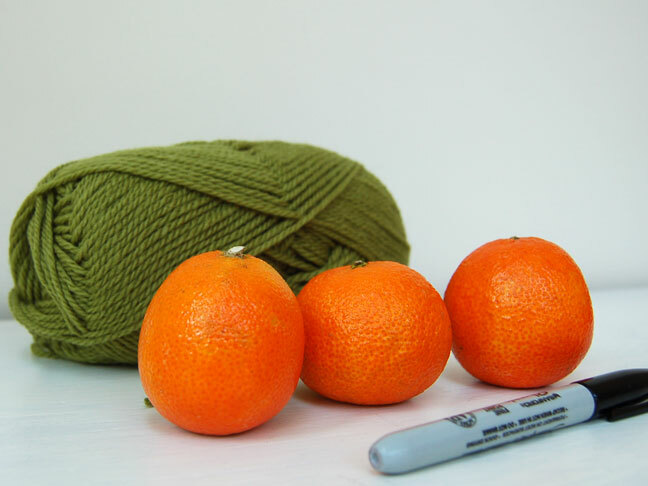 Use hot glue to attach the yarn to the tops of the oranges. Step 3: Now you have a few jack-o-lanterns to add to your Halloween party decor in no time! Or, instead of handing out candy, try offering this as a fun, healthy alternative to trick-or-treaters. 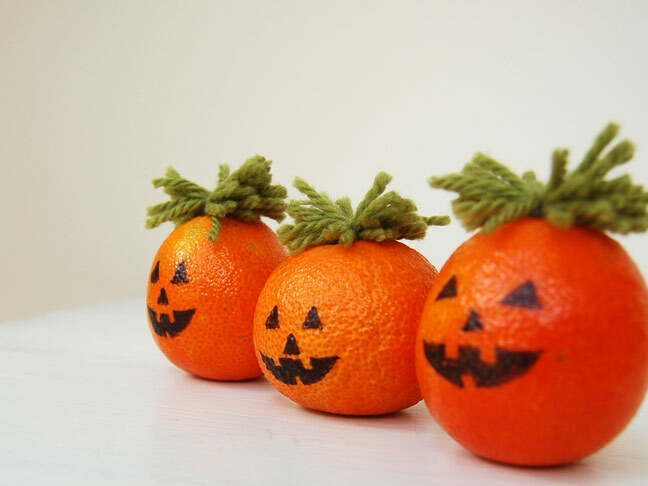 Want more DIY Halloween Craft ideas? 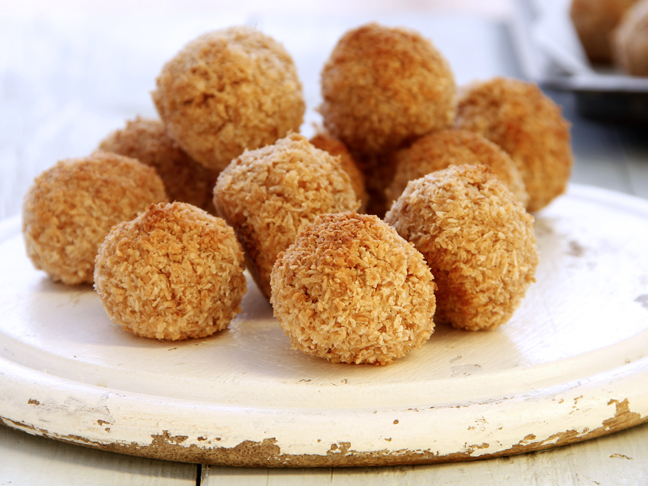 Or, try these Halloween Recipes!